We are locally owned and operated but can travel to where we are needed. We have helped out in many RI and MA weather disasters. We have a 24 hour emergency line with plenty of information to get the help that you need, in a timely manner. We will always recommend fertilization after a big storm and many limbs were ripped off of a tree, as this is very traumatizing to a tree. Fertilization will give the tree that extra shot that it may need for the storm damage restoration. RI and MA is known for its wild and wacky storms. Sometimes, those storms can cause tree branches to come loose and limbs to go flying in places they don’t belong. Well, Sepe Tree Service understands that and has the expert experience to give your yard or business area a thorough cleanup after a storm. We’ll do a good job for you. We guarantee it. We will pick up the trees and branches that loosened during the storm. We will check the health of your trees and make sure the storm didn’t do more damage than what can be seen by the naked eye. We have a Certified Arborist on staff who can determine if there is more damage than what was originally thought. 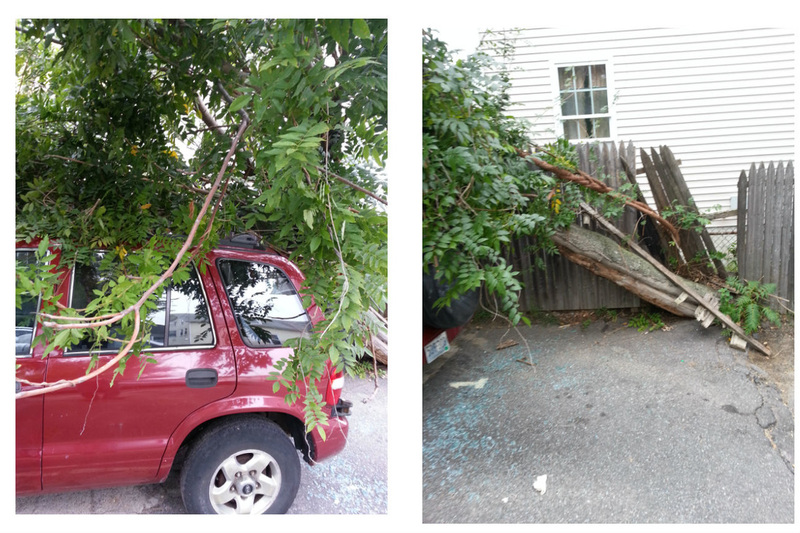 We will perform your storm cleanup in Rhode Island and MA. Usually, we will clean up the debris that is leaning on your house or business or scattered in your yard or parking lot. We will make sure nothing is left of the debris so that nothing else gets damaged. We know storms can be traumatic and hazardous, but let us worry about the cleanup. You have other things on your mind.